The Autumn Maple Collection of the innisfree Vivid Cotton Ink with moody MLBB colors. 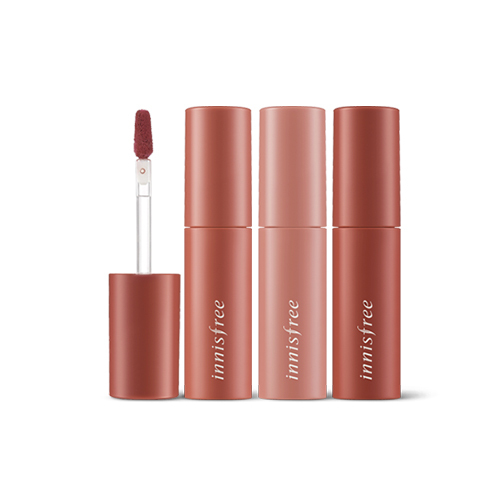 An innovative tint with a moist finish that turns matte with light and smooth cotton-like texture. The vivid tint colors are kept without smearing for a long time. The shine essence oil complex keeps the vivid tint colors moist, keeping the lips beautiful and fresh. Spread smoothly on the lips.